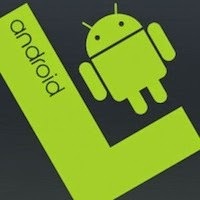 Android L is Google's latest mobile operating system. Apart from a complete UI overhaul, this version brings along a myriad of performance improvements. Compared to its competitor iOS 8, Android L outperforms the Apple mobile operating system in design and performance. Though there is no clear announcement as to when Android L will be reaching our devices, its Material Design has slowly started catching up among app developers. Furthermore, many apps have come up that let you completely change the Android smartphone’s user interface to match that of Android L.
Although many of those apps are annoyingly hard to use, some of them make the job really simple. Below, we'll show you how to make the most out of such apps and then transform your phone’s UI to completely match the Android L look. 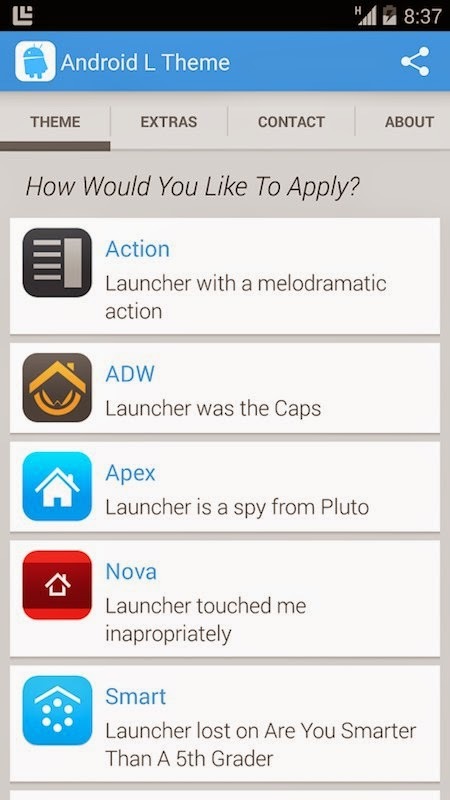 Step 1: Install Nova Launcher first. It's one of the best launchers out there, so even if you remove the L theme later on, you won't regret installing Nova Launcher. Step 3: Install the Android L theme for Nova Launcher. 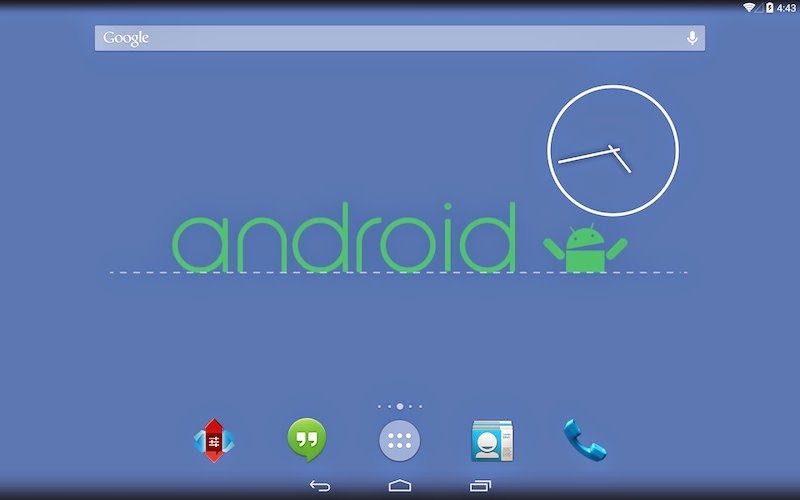 Then, go to "Look and Feel" -> Icon Theme -> and select Android L from the list. The theme pack also comes with Android L wallpapers so do make sure you switch your wallpapers to match the new look. Step 4: Install Android L Keyboard so that you'll have a keyboard that matches the new look. If you are using SwiftKey or any other modern keyboards, it's best to stick with the one you already use since switching to a new keyboard might not be something everyone would be comfortable doing. 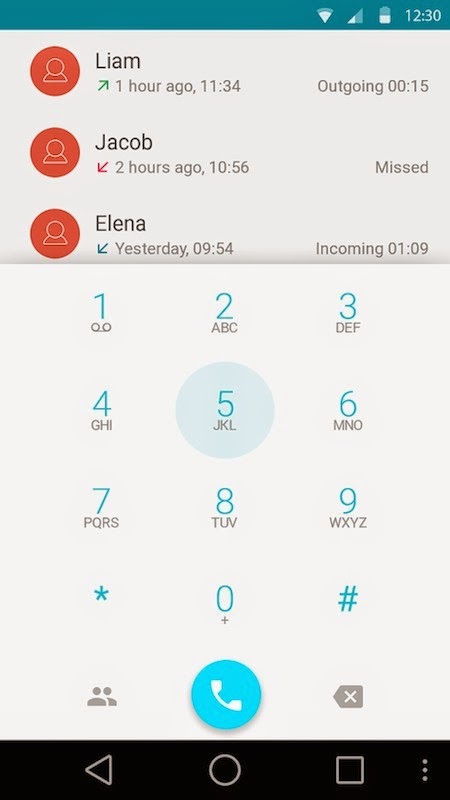 Step 5: Install Ex Dialer, then install this theme so that even the dialer would match the new L preview. That's it. That should give you an almost complete Android L look without hogging your resources. If you are using Cyanogenmod, there are better options available for you, so read on. Following are some alternative applications that you can use if you are not satisfied with the aforementioned method. If you are using Solo Launcher, there are some fantastic Android L themes out there. Following are two apps you need to install to transform your smartphone into an Android L lookalike.